Remember my photo shoot with Lo & Sons a few months back? It was so much fun and I absolutely love my O.M.G bag! I love how functional their bags are while still looking stylish. I'm super excited to be hosting this giveaway with them. 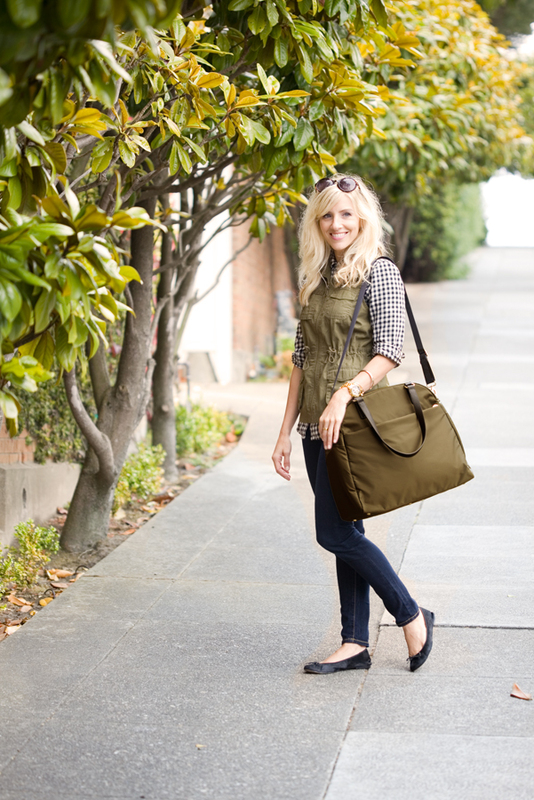 You can win one of your favorite bags and The Mott bag as a gift (or you can keep it for yourself--I won't tell!). They are having 40% off select styles right now too! i love this line! Ashleybscott@gmail.com. WOW! What an amazing giveaway :) I would get SO much use out of one of these bags. The bigger the better...awesome giveaway! Both are so cute- great giveaway! Thanks! I LOVE their OMG bag! Sign me up! And I promise to gift the bonus bag! How exciting! Thanks for this oppotunity. Yet another great reason to always visit your blog! i've been wanting one of these bags for what feels like forever! sign me up! They're so awesome and practical. so excited to have an alternative to all-too-masculine Tumi travel bags and my lululemon gym bag which is far too casual! Oh wow, all of their bags look amazing! Love their bags. Love to win! I have been lusting over these bags since your feature post a couple of months ago! What a sweet treat this would be! OMG, this bag would make trecking across campus a lot easier & it's cute too. Ah, would love to win this! Hope I win... Love the bags! Awesome giveaway and gorgeous bags! would love to win one of these bags!! Love, love, LOVE this ! Thanks for hosting + happy holidays ! I've had my eye on the O.G. for a while but it hasn't been in the budget! Would be perfect for my upcoming trip to Hawaii. I have been coveting one of these bags ever since I first saw them on your site. I even started a "Lo & Sons Fund"... which I then had to dip into to buy Christmas presents. But there's always next year! Thank you so much for hosting this and happy holidays! Those are so great! I'm on a budget and would love to be able to give one of those away! An L&S bag is at the top of my wishlist! Thanks for the giveaway and Happy Holidays! I LOVE their O.G bag! Its kinda fitting since I'm an original gangster, aahaha I can't believe I just typed that :) All jokes aside, being a student I carry everything I need for the day with me so its perfect! Fingers Crossed! I'm new to your blog and I'm so glad I found it! These bags are so great and functional. becki.gervin@gmail.com - What a great bag! Such gorgeous bags! Would love to win! I've been eyeing their bags for a while now! Great giveaway! What an excellent giveaway! Aces. Lo and Sons has great bags, especially for traveling and working out! Thanks for a great holiday giveaway! I love their clean lines! I have been lusting after these bags since you first featured them. YAY, love Lo & Sons and SterlingStyle! Hope i win this giveaway!! Can't wait to bring this bag on my South America trip!!! I would LOVE one of the Lo & Sons bags!!!! I would love to win one of these bags for traveling. Happy Holidays! Been wanting one of these bags for a while. Thanks for the giveaway! Looks like great everyday bags! An Lo & Sons bag would be perfect for my upcoming trip. Trust your style and suggestions! The bag would be perfect for a Mom on the run! This company has a great reputation. This has to be fate because I added this bag to my wish list 2 weeks ago once I discovered the website and your ad! I love the two separate looks- 1st one is very SF casual and the 2nd in NY chic. I recently took a job where I travel a lot and I can tell you that your great outfit can be ruined by the wrong carry on! Would be a great Christmas present to myself!! I love the green bag! Thanks for a great giveaway Taylor! Done it all! Thank you. yay!!! i'd love one of these for all my traveling. All I want for Christmas... is a Lo & Sons bag! Love it!! I can definitely use a new bag. hoo i love these bags! I love your blog, it so fantastic! Love your blog! Visit daily! Andrea.Twidle@gmail.com!! OMG! I've been stalking Lo and Sons ever since I discovered them last month! I workout alot and always feel a little gross putting my sneakers with my clothes even when its separated in a bag. LOL! This bag would be perfect! Not to mention, plan on doing alot of traveling in 2012 so will also be a great carryon! I love the Savoy tote! Perfect for everyday use and travel. Great giveaway! I would love one of these bags!! I've been wanting a Lo & Sons bag. Thanks so much for the giveaway! Happy Holidays! I love this idea. Who doesn’t love fashion and function? Great bags! These would be so perfect for my up and coming trip to Atlanta - I've been searching for a simple travel bag! A lovely bag. Please enter me. this would be perfect for traveling! would love to win. Lo & Sons makes the best bags! I would love to win one. I would love to add the o.m.g. to my lo&sons collection! I have the o.g. and I bought the laptop bag for my hubby! I love those bags! They'd be especially perfect if I was still in school! You know what,Taylor? You got even more your eyes sparkling after your engagement! That is so amazing) pleasure to look at you! These are great bags - I'd love to win one! they do the most perfect university/travel-bags! very useful but all the same very stylish an chic. i still really really want one! Following on twitter and fb! Love these bags! The O.G. is perfect for work, travel and the gym. Love these bags so much! Happy Holidays! I love your polka dotted skirt! I have been lusting after one of these bags since your post on them!! Any color would do! I would love these bags for school - so perfect! Awesome giveaway! I love Lo & Sons and have been wanting an O.M.G! Desperate for a new work bag! Looks perfect. oooo, I LOVE their bags! I do like their overnight/gym tote as well!! OMG i want one of those bags! 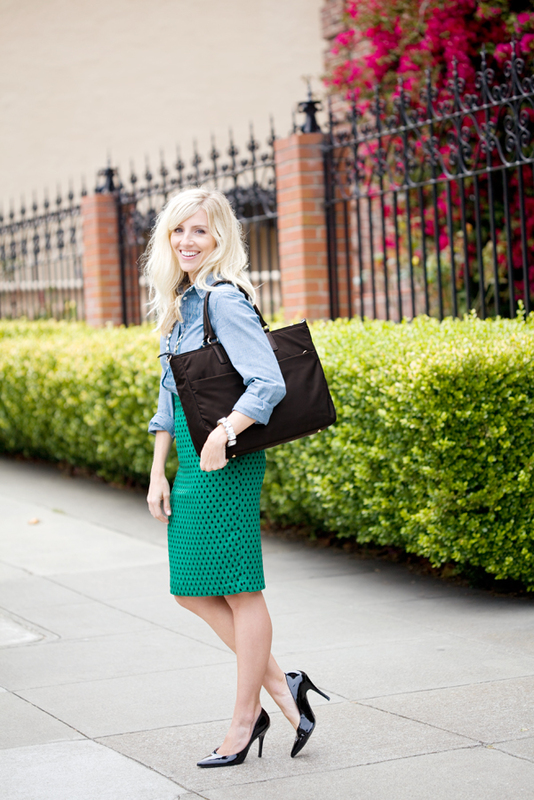 Love your blog, and love these bags!! i am OBSESSED with these bags!! what a wonderful giveaway! I love it! SO fun! i would totally have to keep the mott for myself....sssshhhhh! LOVE these bags! I have been eyeing them forever, and would love to share the goodness with my sister in law too!